I could tell you how awesome my product is, or I could drop it from a helicopter. That’s just what Doritos did in Duluth, MN, to rah-rahs and excited chatter. Not only did it help them introduce its new flavor, “HeatWave,” it also captured the attention of our newsfeeds and friends. “It was cool to witness. A helicopter flew across the harbor to the center of Bayfield Festival Park while suspending a pallet of Doritos from a 100+ foot rope,” Swim’s project manager, Max Hutchens, said. This is often referred to as a “branded experience” or “experiential marketing.” Besides being buzzworthy, the benefits of experiences like this multiple quickly. But, wait! There’s more. If you’re smart, you’ve sent a camera crew to capture the moment and established a hashtag. Now, you’ve boatloads of footage and photos to use for future marketing. Another brand to do this locally was Lululemon. 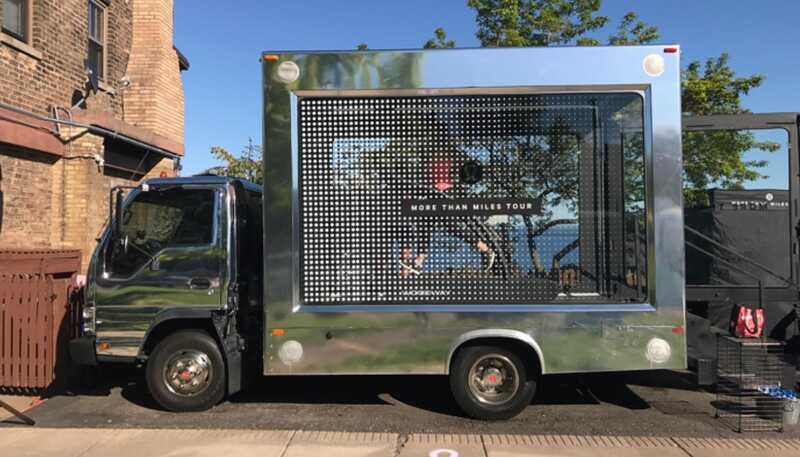 Working with local fitness studio, Evolve Duluth, the athletic gear company brought a truck with a see-through trailer holding a top-of-the-line treadmill. People were invited to try on a Lululemon product and take it for a literal test run. After a few minutes, the product testers gave their feedback and ended up walking away with free Lululemon gear. People interacted with the brand, shared on social media and willingly helped the brand collect data. Wins all-around. Maybe it’s time to add branded experiences to your marketing arsenal. Plan it right, and you can build moments that stick with people long after the initial event. Moments you can share again and again. It’s the gift that keeps on giving. Just remember to make sure your branded experience is actually on-brand. If you’re selling a veggie burger, don’t invite people to a pig roast. What’s the coolest branded experience you’ve seen?